Can you solve the hardest Sudoku puzzle yet? Arto Inkala, a Finnish mathematician, claims to have created the most difficult Sudoku puzzle yet. According to Inkala, it took him three months to finish the construction of the puzzle. 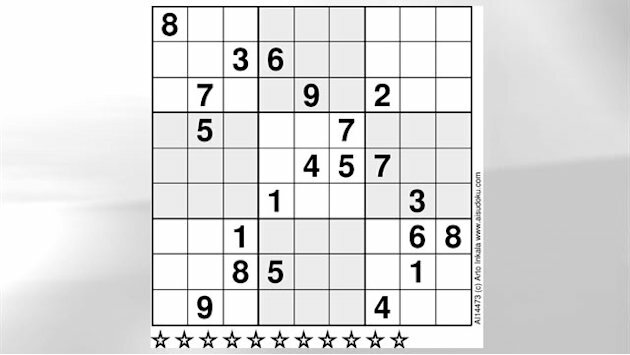 Can you solve this sudoku puzzle? Sudoku is a number placement puzzle. The objective of the player is to fill a 9 x 9 grid with numbers from 1 to 9 so that each column, row, and block (3 x 3 sub grids) contains all the digits. The puzzle was popularized by the Japanese company Nikoli in 1986.